Find your inner peace with these symmetrical earrings. 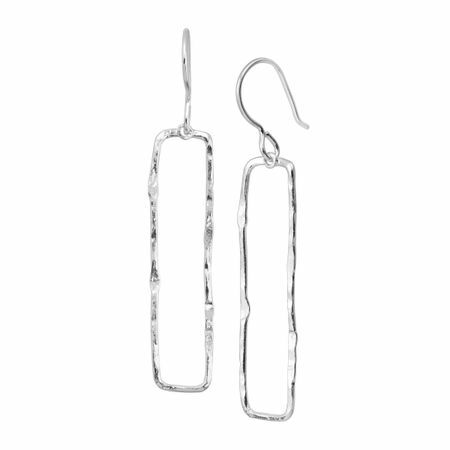 These open, rectangular drops are crafted in chic sterling silver and feature a hammered design - perfect for blending fun and casual style. Earrings measure 1 11/16 by 3/8 inches. Pieces come with ".925" sterling silver stamps as symbols of guaranteed product quality.